When Microsoft launched Windows 10, everyone was excited about the new features, including Siri Killer Cortana. But Cortana did not turn out to be what people expected from all this hype. It uses too much CPU power and interferes with the daily activities of the user. 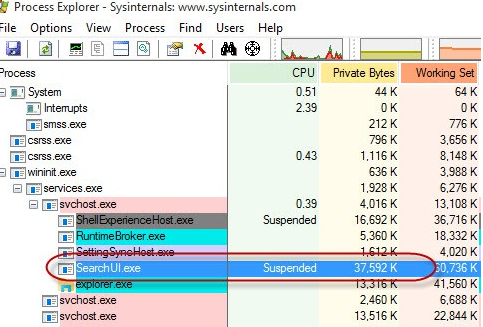 Even when you disable Cortana in the configuration, it continues to run “SearchUI.exe” in the background, further reducing the available RAM in the system. And they designed the process so that it never stops and automatically restarts, even when trying to remove it using the Windows Task Manager or Process Explorer. Start the command prompt. To do this, press the Win + X key combination, then choose Command Prompt (Admin) from the on-screen menu. If the commands fail simultaneously, repeat them until the directory is moved correctly. 4.Create a new DWORD (32-bit) Value named “AllowCortana” in the Windows Search Key. You can do this by right-clicking and selecting New->DWORD (32-bit) value, then renaming it to “AllowCortana”. Many people asked how they could reset SearchUI.exe. To restore it, you must change the name of the folder with its original name. Start the command prompt with elevated privileges. To do this, press the Win + X key combination, then choose Command Prompt (Admin) from the on-screen menu. Restart Windows and SearchUI.exe will continue to work. Windows 10 searchUI.exe is a very useful feature of Microsoft. The voice search is good and helpful. But sometimes it becomes a bane for people using average system configurations. It consumes much RAM and slows the system. So knowing to shut it down in the background is essential. In this article we have covered not only how to stop this from running on the background but also reboot it back. What is VPN and what are it’s benefits?